An education abroad is a defining moment in an individual's life and is one that will be cherished for years to come. It is an opportunity that allows you to witness a unique lifestyle, and seek out adventure. From widening your global network to taking in a new culture, the perks of a program abroad are tremendous; you experience how concepts from the classroom unfold into the outside world. 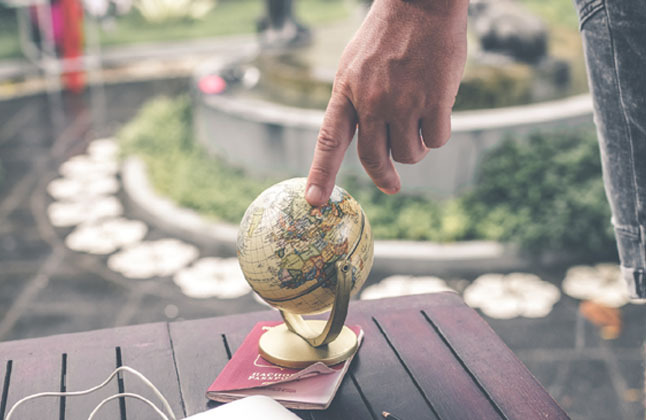 There are several aspects that need to be considered when deciding on a degree abroad, and Edwise guides you through each and every one of them. Studying abroad doesn't come with a one size that fits all; the selection of every country, program and university is tailored according to a candidate's choice and preference. Edwise transforms your dream of an overseas education into a reality and is the answer to all your study abroad needs. The medium of instruction and methods of teaching are what students look for when pursuing a degree overseas. An individual's choice of country can be based on several factors. Some see it for the opportunities that come from it, while others see it as means of exploring new territory or mastering a foreign language. Whatever your reasons may be, our counselors provide explicit information on study abroad destinations. Since a foreign education comes with an array of course programs, candidates must first define their goals and ensure that their pre-requisites are in order. Edwise examines every profile carefully and assists in selecting courses in accordance to personal requirements and career interests. We also provide a fair and unprejudiced opinion on the various study abroad options available. Studying abroad costs money, not just for tuition and travel, but for housing, food and other expenses as well and while there are some that can afford an overseas education, there are others that seek financial assistance. Edwise offers guidance on student loans and scholarships available and offers candidates a chance at an affordable education. My experience with Edwise was really fantastic from the beginning i.e. to select the course/university till visa application everything went on smoothly. Really happy with the guidance and support I got from my counselor and Edwise. I approached the Edwise staff in Delhi as I have been thinking of going abroad to do some courses in makeup artistry. I wasn't sure of which country to choose and which university to choose and when I visited the Edwise office I was guided so well and everything came clear to me. They not only helped me in the country that I should choose but also helped me in selecting the right course that would be suitable to my interest . One thing I liked about the staff was that they were very patient and helpful and kept guiding me till the last step. I found the experience very good as today I'm sitting in the chosen country as I desired with their help. I thank my counselor who has been very patient and helpful in every step. I would recommend everyone to get in touch with Edwise and make their dream into reality like I did ! Very good. Got appropriate advice, guidance & assistance at every stage of the admission process. It was a very smooth and hassle free task. My counselor was very co-operative and pro-active to get me through the entire procedure. Thank you!! A good advise for the students who are willing to study abroad. Counsellor give complete knowledge on what course you interested in and which university is best suited.EDWISE is the best place to achieve goals of studying abroad. For complete information of Studying In Abroad Contact Edwise - Overseas Education Consultants, on 1-800-200-3678 (Toll Free) / 08600911333.